For the Malt Vinegar Slaw: Whisk together vinegar, canola, sugar, salt and celery seed. Add cabbage, carrot and onion to bowl, toss and chill until ready to serve. For the Fish or Shrimp Fry: In a deep saucepot, heat a few inches of oil to 350-365°F. Preheat oven to 275°F. Whisk up flour, Old bay and beer. 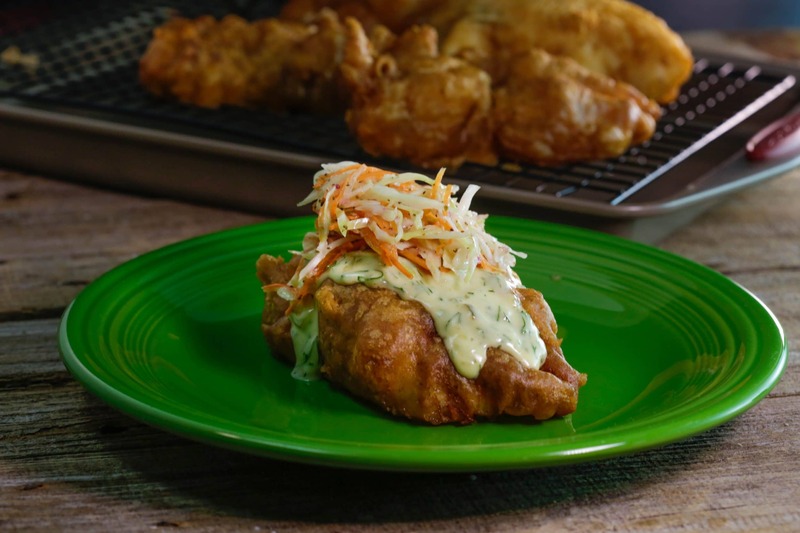 Coat the fish or shrimp in batter, let excess drip off then fry fish filets 1-2 pieces at a time or shrimp 5-6 at a time. Cook fish about 5 minutes; shrimp 2-3. Once golden and crispy, remove to a wire rack set on a baking sheet and season with salt. Keep fried fish warm in oven while you fry up remaining pieces. Serve fish with lemon wedges and tartar sauce, if using, alongside. For the Dill-icious Tartar Sauce: Whisk up egg yolk, lemon and Dijon then stream in oil while continuing to whisk. Season dressing with salt; stir in dill and relish. Chill before serving. In Recipes-list.com we have selected the most viewed recipes from category - uncategorized . Enjoy the best recipes specially selected for you! Fish or Shrimp Fry is the right choice that will satisfy all your claims.